Two years ago, five women living at the UN Mission in South Sudan Protection of Civilians site in Malakal in the Upper Nile region collected sacks and whatever tools they could find around the POC site, a place they had called home since 2013 when conflict erupted in their town. Two kilometers away towards the River Nile, they put down their sacks and began work. Tirelessly, they harvested sand using only the small local tools they had found and their hands to fill up the sacks. Weighing almost 50kg, they carried the bags on their backs all the way back to the UN protected site. Their intention was to try and make a living with whatever they could find. And they did. They sold the sand to other displaced persons in the site and business gradually grew as more residents came to know about the group. The brains behind the initiative was Veronica Tipo Deng. Veronica was a trader in Malakal town but was forced to flee and seek refuge in the UN protected site when war broke out in 2013. She lost everything when her shop and her home were both destroyed and looted during the fighting. Veronica worked as a support staff at the UNMISS base. Eventually, she decided that she could do more so she rallied her female friends to venture into sand harvesting. Her diligence paid off as she scored contracts to purchase and supply not just sand, but other construction items. In due course, she opened a hardware shop in the POC site. Today Veronica has a newly opened office in Malakal town where the deputy Governor and some members of cabinet frequent on official business. “I have just completed the construction of eight classrooms at a local secondary school across the road. I am handing them over today,” says Veronica. “This is by far one of the biggest projects I’ve undertaken,” she adds. The school, which has been struggling for space, now has brand new classrooms, neatly constructed with iron sheets and ready for use. “This is just one of the sites that I have in town. 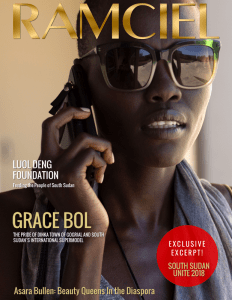 I have others also that are in progress including some projects that I’m doing with UNMISS,” says Veronica. Veronica stressed the important role of women in the road towards peace in South Sudan. 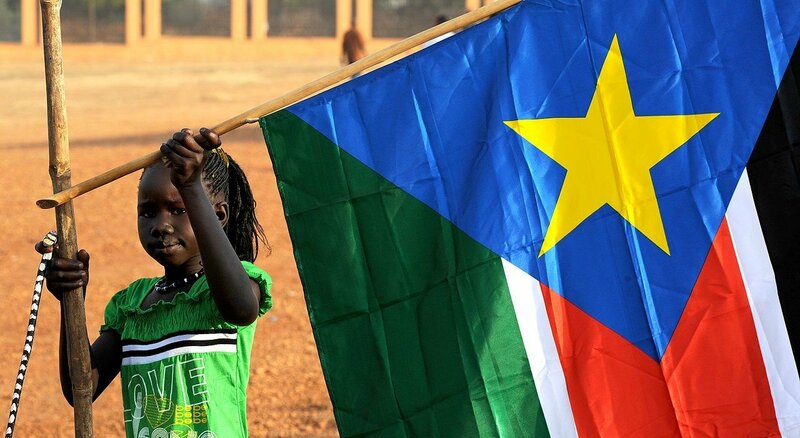 “Women must accept their role as peace agents here in South Sudan. We are like a bridge to peace and prosperity because we do not take sides. See like me, I can work in the POC and I can work in town. I believe I am opening the road for many others like me to do the same,” she says.